So pretty! Your flowers are looking amazing! I can’t wait to see what you will do with the rose elixir when it finishes. And strawberries too? Sounds like you have a lot of exciting things coming in! It’s a nice time of year. 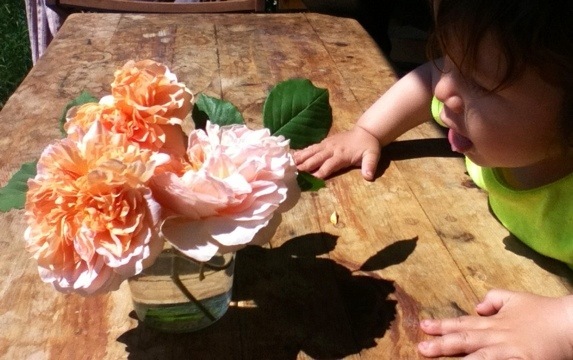 I guess the expression, “everything’s coming up roses” is no accident. They show up just when the season is sweetest. 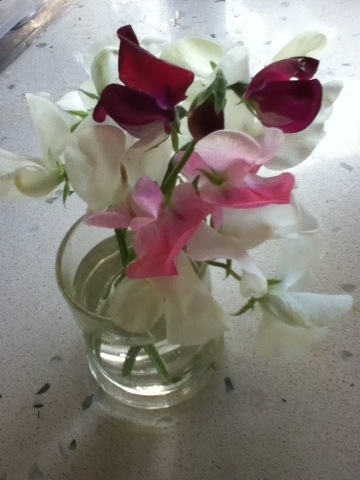 I love sweet peas. They are so uncomplicated, just pretty flowers that are easy to love. Kaya has a real appetite for flowers – he hasn’t noticed the sweet peas yet, but I bet he’ll put them straight into his mouth when he does. 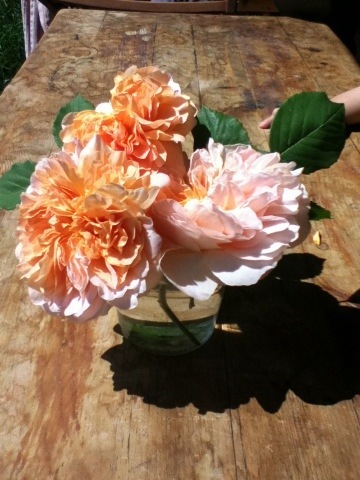 Hi Siobhan, your flowers are beautiful… I love your updates and often long for a wild and wonderful garden of my own! The annual tulip festival has arrived early in Ottawa this year. Here are some of my pictures from last weekend. Wow, those tulips are dazzling! What great photographs, too. I need to work on my photography — I always end up shooting on the run with my iPod. I didn’t even know there was a tulip festival in Ottawa. Istanbul has one, and come to think of it, I guess it would have been in April. Are you having an unusually warm spring, then? I hope you get that garden one of these days — it took us a while, but it sure is nice to have it now. Thanks so much for taking the time to leave a comment. It was nice to hear from you! Thank you for the wonderful blog entries – you always make my day! I would love to grow sweet peas but cannot because of the deer. 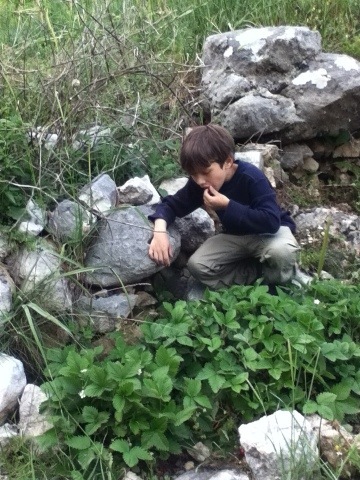 That is so interesting — we don’t have deer out here, just the odd wild boar. Our fence keeps them out, though. We had to fence our place in to prevent being overrun by goats — all of our neighbors keep goats and walk them out to pasture a couple of times a day right past us.